Melinda Smith (not her real name) is a single mother of two teenagers who lives in Howard County, Md. Last April, a team of 10 volunteers from MITRE’s Fort Meade site arrived at Smith's three-bedroom condominium to restore her home to its former glory. This was the fourth year in a row that MITRE volunteers rolled up their sleeves and grabbed their own toolboxes to provide needed home repairs to a disadvantaged homeowner. "The idea is to help the homeowners stay in their own homes by making repairs that will keep them safe, warm, and dry," says Harry Perper, a co-captain of the MITRE team. The event is sponsored by Rebuilding Together Howard County. 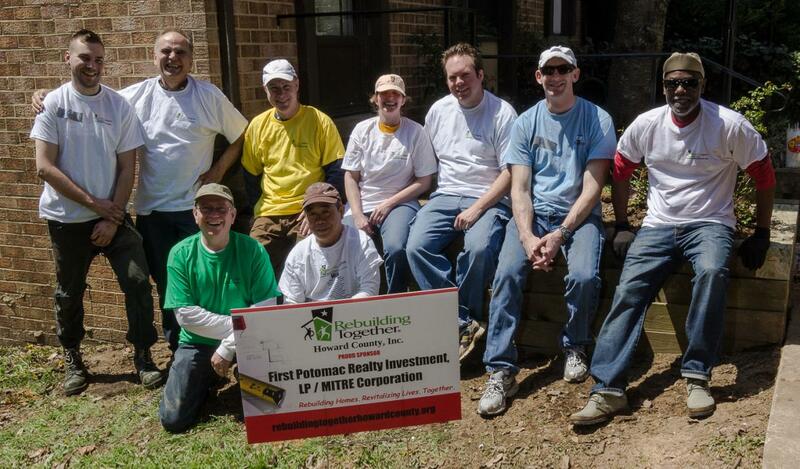 MITRE's financial partner in this endeavor is First Potomac Realty Investment, LP, which donates funds each year to defray the cost of the materials needed for the repairs. At the end of the day, the condo boasted a repaired window, a new closet door, a new basement window well cover, a freshly painted stairwell and bedroom, a rerouted drain hose, and repairs to water-damaged walls. "I cannot express how happy you have made my entire family," wrote Smith in a note to the Rebuilding Together team. "Thank you so much for all you did for us."